The Grange has a long history steeped in member participation in our policy development through our resolution process. 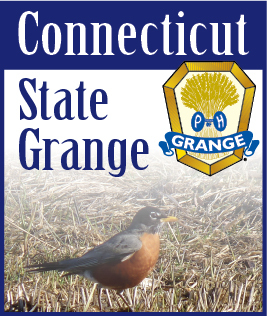 Each Granger is tasked with addressing voids and surplus in our policy and can propose to implement these changes by offering amendments to your State Grange. Drafting resolutions may seem like a daunting task at first, but if you follow three simple steps listed below, you will soon be on your way to writing a clear and effective resolution. First, it is important to know the anatomy of a resolution. There are three main parts: the Title, the body or Whereas section, and the conclusion or Resolved section. The Whereas section is where you get to make your argument for why this resolution is necessary. The Resolved section must be a complete sentence which sums up what your resolution is trying to achieve and can stand alone without any of the supporting information. In closing, make sure your resolution can stand the test of time. A good deal of Grange policy dates back 75 years or more and continues to be relevant because the ideals and concepts hold true today. However, we also have policy that is out-of-date and relates to issues that have been dealt with on the local and congressional levels. If you have a resolution that deals with an issue that is connected to a current event or particular bill, your resolution may be included in the committee of jurisdiction’s policy statement for that year, rather than passed as a resolution. Rest assured that this is still very important and is actually a better home for your resolution. Good luck and happy policymaking!